In the right circumstances, graffiti can be great artwork. In the wrong situation, graffiti can be an offensive eyesore. Spray paint goes on easily and only gets worse over time. Leaving paint longer than you have to, attracts further tagging, makes stains worse and creates a mess. 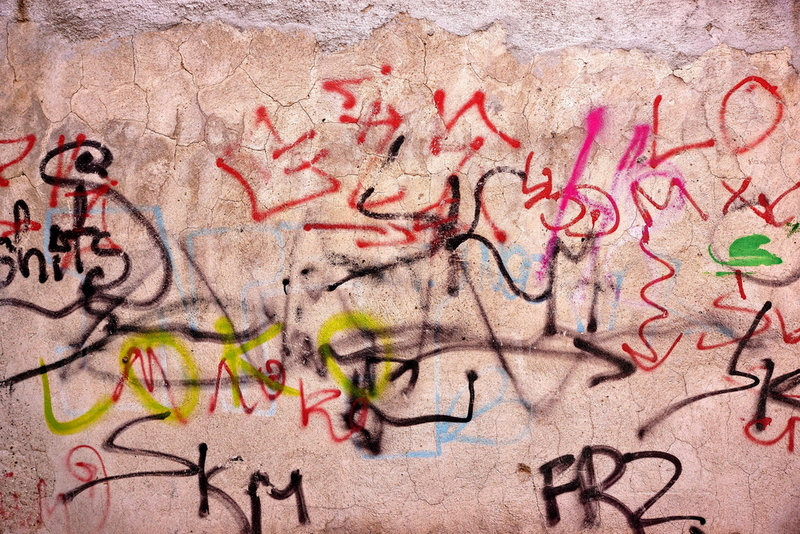 By handling your London graffiti removal as quickly as possible, your life becomes that much easier! The trip between the shelf and your property is a short one for spray paints. These supplies are designed as tools for quick jobs and touch ups, but over the years, their most common use is vandalism. No one in the London area is a stranger to graffiti. Large designs and tags can be found all over the city, but your property doesn’t need to act as a billboard for local taggers. In fact, leaving paint on the exterior of your property can attract rival graffiti artists. Tags themselves are just signatures left behind by a graffiti artist. In a competitive environment, it takes no time at all for one tag to turn into three and then into ten! Quick action for your London graffiti removal is so important and that is why Gorillas strive for same day removal! Aerosol cans and spray paint might travel easily but will put figurative stop signs around your property to keep graffiti away! When you wake up to an unwanted design splashed across your property, don’t spend time panicking when a solution is only a call away. 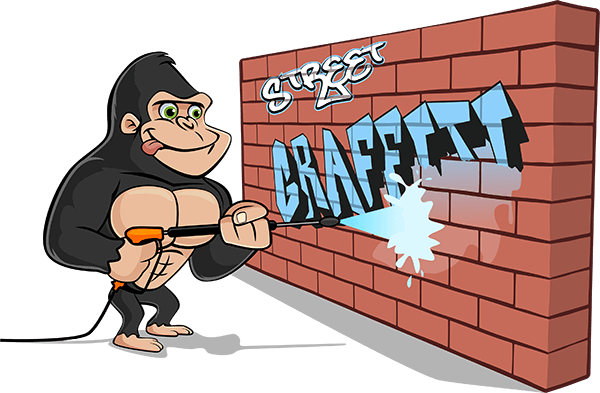 When you call a Gorilla for your London graffiti removal, you are getting treatment for designs that are old, new; large and small. Certain types of paint are easier to remove than others. Differing types of spray paint require assessment and individual treatment. By using a multi-step approach to our London graffiti removal service, unwanted paint is treated at every level. The first step is physical treatment of the paint itself. An application of our Gorilla Foam goes on to affected areas, filling in cracks and grooves. This foam loosens surface stains that can be scrubbed away. If a little elbow grease does not get the job done, Gorillas can turn to pressure washings or even paint matching!